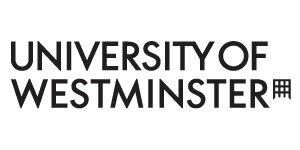 Info Beasiswa : Westminster International Scholarships - Info beasiswa terbaru datang dari University Of Westminster. Beasiswa ini cukup menari karena hany diperuntukkan untuk mahasiswa dari negera berkembang, seperti Indonesia. Amount : Full tuition fee waiver, accommodation, living expenses and flights to and from London. Eligibility : You must be an international student from a developing country and hold an offer for a full-time Masters degree. Criteria : Academic excellence, financial need and development potential. Preference will be given to junior faculty members of our partner Universities in Vietnam. How to Apply for a University of Westminster Scholarship? Please note that the scholarship application process is separate to the process of applying for admission to the University. You should only apply for a scholarship once you have applied for admission and successfully been offered a place (either conditional or unconditional) on the course you wish to study. If you are an existing student, unfortunately, at present, you are not currently eligible to apply for a scholarship as all scholarships are awarded BEFORE a course commences. To apply for a scholarship you will need to complete the relevant scholarship application form. For UK/EU undergraduate scholarships for September 2013, we will be introducing an online application process which should be available for use from January 2013 onwards. For international students and all postgraduate students you will need to download the relevant application form (International Undergraduate or Postgraduate) below. 1st April 2013 for all UK/EU Undergraduates except for students taking a Media, Art and Design course, the deadline for which is 23rd April 2013. 1 November 2013 for January 2014 postgraduate scholarships. Some scholarships may have a different deadline date than those listed above. Please ensure that you check the deadline dates for individual scholarships. Once we have received your application, we will acknowledge receipt by email. In cases where an application is received very close to the deadline, students may not get an email of acknowledgement. The scholarship application process is HIGHLY COMPETITIVE. We receive thousands of applications each year, so do NOT assume that application means acceptance. You should also seek other sources of funding in the event that your application is not successful. You can only apply for a scholarship once you have been offered either a conditional or unconditional place on your chosen course. We cannot consider your application for a scholarship if you have not already made an application for admission and been successfully offered a place on a course. Unless you are applying for a specific scholarship, just tell us what level of support you require (e.g. fees only, fees and accommodation, etc.) and we will match the scholarship to your needs where possible. You should only submit the supporting documents we request (these are listed on the scholarship application form). The quantity of documents will not advantage your application. Do not send original documents as we are unable to return these. Please only send copies. Do not excessively exceed the word limit for the supporting statement. We ask you to present yourself briefly for a reason. 0 Komentar untuk "Info Beasiswa : Westminster International Scholarships"